One of the members of the rescue team holds the puppy at the bottom of the pit. Hyderabad: Three puppies that had a steep 30-feet fall into an open pit near Hitech City had a happy reunion with their shell-shocked mother here on Sunday, thanks to timely support from animal rights activists. As activists uploaded the video on facebook, it raised a storm in social media and drew close to 2.5lakh views, 10,000 likes and 1,900 ‘share’. 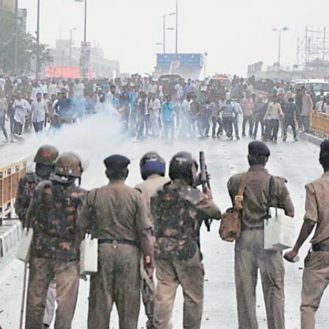 The trio of Pradeep Nair, Anthony Prabhuteja and J Santoshi, volunteers with the Blue Cross here, undertook the rescue in a professional manner. They went down one by one into the pit, hanging by a rope held by other volunteers from atop the pit, after having tied themselves to a body harness. Another rope with a plastic bag was let down into the pit to have the puppies carried up. A rope tied to a strong structure was sent down as a lifeline. “The locals fed the pups with warm milk, and we shifted the mother with her pups to a safer location,” explained Pradeep. This was not the first rescue that Pradeep and his team undertook. Last month, a large bull had got stuck in an irrigation well near Alwal and they rescued it by use of a crane. 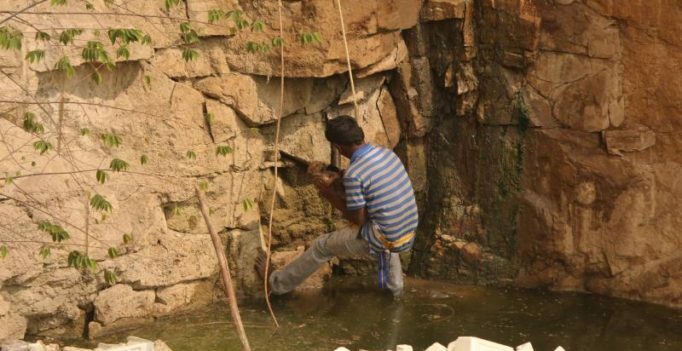 Pradeep had to get inside the well thrice before the bull could be rescued. Snapped: Harshvardhan Kapoor and Sara Ali Khan at Kareena-Saif's; film together?